So the first finished object of 2015 is off the needles, with just a small amount to spare. It was touch and go for a while but I got there! The yarn is ton of wool – cormo which is crowdfunded wool from Tasmania, which was then dyed by yours truly. 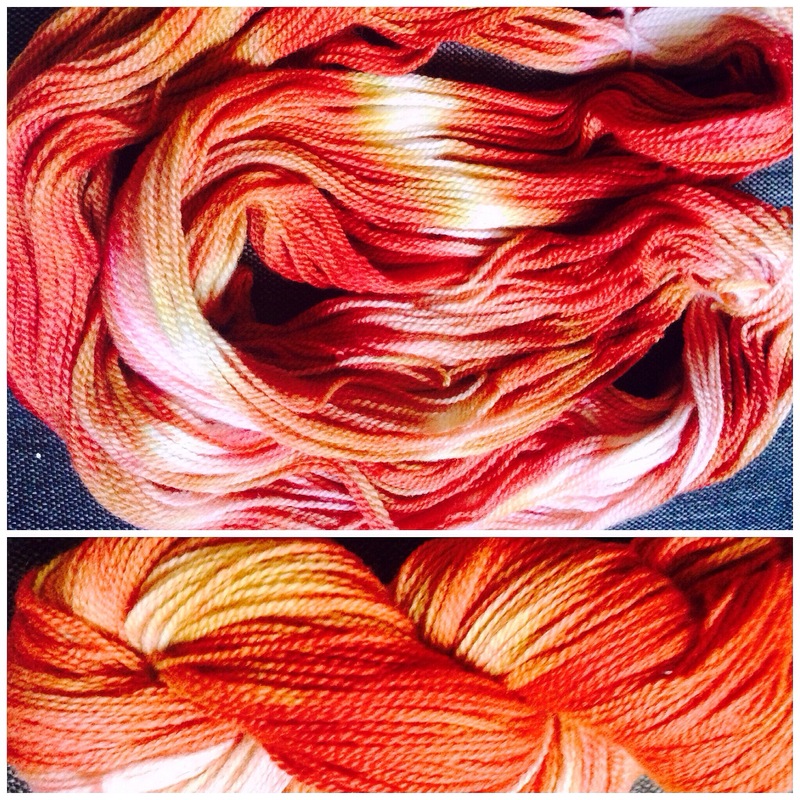 It’s a gorgeous yarn to dye with and it knitted up beautifully. The pattern is mostly made up. 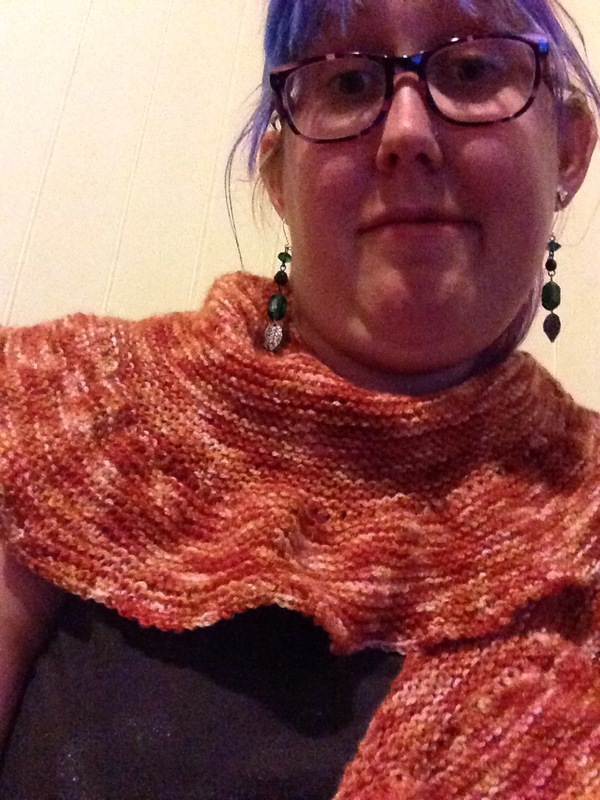 I wanted a garter stitch circular shawl and couldn’t find a pattern I liked. 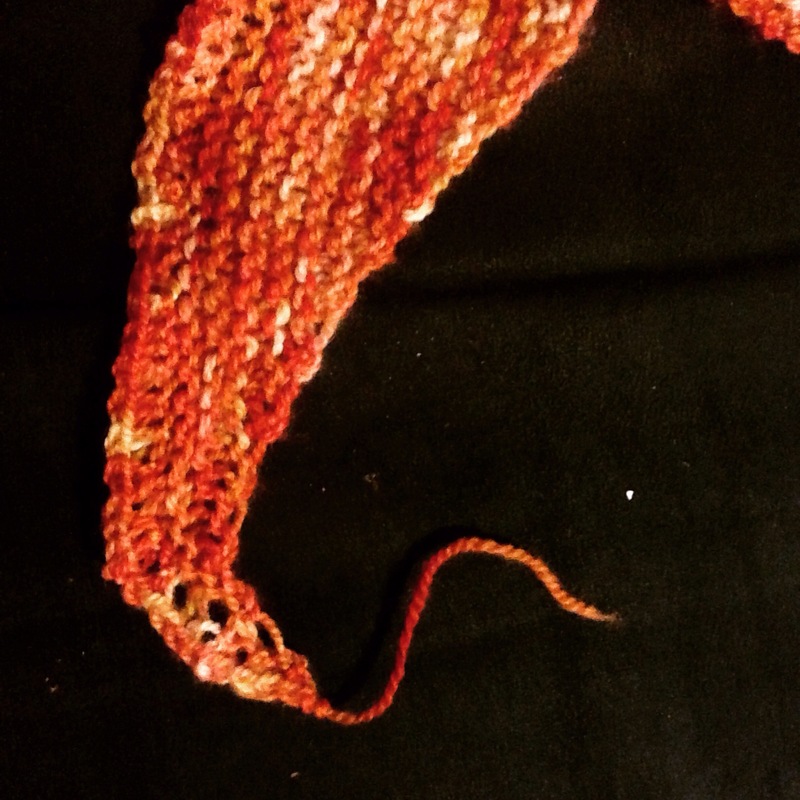 So I cast on a random amount of stitches, increased at each end and then every so often did a whole row of KF&B. And then finished with a row of KF&B and then bound off. I quite like the result. Unfortunately for you it was well past my bed time when I finished it and photographed it, but I was so worried I’d run out of yarn I knew I wouldn’t sleep well unless it was finished. I was rather tired for work the next day. I believe this is what living life in the fast line is like. So this is tired but pleased Bek, trying on a woolen shawl when it’s really very hot outside. Don’t you love it when you can make up things yourself?